No skills required! WebVisto is a revolutionary website builder application. Easily create beautiful, modern websites in few minutes. Domain, hosting and tech support included. 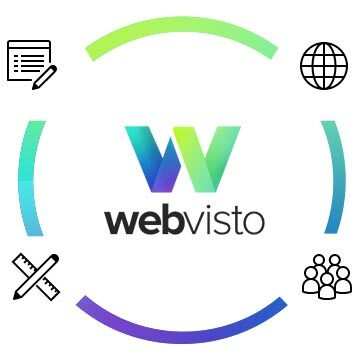 Please leave your e-mail address and we will send you an invitation when WebVisto launches. First users will get special price and premium features! We will never spam nor give your e-mail to anyone. WebVisto offers you a great selection of beautiful, customizable, responsive website templates created by highly talented web designers. A website is not only what displays on the screen. With WebVisto you get own domain, unlimited hosting and don't have to worry about servers, databases, etc. Got a problem with website? Need new features? We give you professional, understandable answers to your questions and constantly improve your website. Is WebVisto a solution for me? There are over one billion websites in the internet, although creating your own site can be frustrating. Our goal is to let you create a successfull website with pleasure. Copyright © 2015 Inteum. All rights reserved.